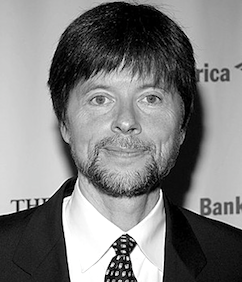 Ken Burns has been making documentary films for more than 30 years. Since the Academy Award-nominated Brooklyn Bridge in 1981, he has gone on to Direct and Produce some of the most acclaimed historical documentaries ever made. The late historian Stephen Ambrose said of Ken’s films, “More Americans get their history from Ken Burns than any other source.” A December 2002 poll conducted by RealScreen Magazine listed The Civil War as second only to Robert Flaherty’s Nanook of the North as the “most influential documentary of all time” and named Ken Burns and Robert Flaherty as the “most influential documentary makers” of all time. 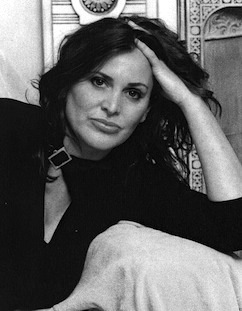 Ken’s latest film, The War, was co-directed and produced with his longtime colleague Lynn Novick, and aired on PBS in September 2007. The War is a seven-part series that tells the story of the Second World War through the personal accounts of nearly 40 men and women from four American towns. The series explores the most intimate human dimensions of the greatest cataclysm in history and demonstrates that in extraordinary times, there are no ordinary lives. His film prior to The War, produced with Paul Barnes, was Unforgivable Blackness: The Rise and Fall of Jack Johnson (on PBS in January 2005), the story of the first African-American heavyweight champion. Prior to Jack Johnson was Horatio’s Drive: America’s First Road Trip, a two-hour account of the first cross-country trip by automobile, co-produced by Ken’s longtime collaborator Dayton Duncan. It aired on PBS in October 2003. Mark Twain, a two-part, four-hour portrait of America’s funniest and most popular writer, was also co-produced with Dayton Duncan and aired on PBS in January 2002. In January 2001, Jazz, the third in Ken’s trilogy of epic documentaries, which began with The Civil War and continued with Baseball, was broadcast on PBS. Co-Produced with Lynn Novick, this 19-hour, 10-part film explores in detail the culture, politics and dreams that gave birth to jazz music and follows this most American of art forms from its origins in blues and ragtime through swing, bebop and fusion. Jack Newfield of the New York Post said, “Jazz is the best American documentary film I have ever seen. Period.” Tom Brokaw wrote, “Jazz is a masterpiece of American television.” John Carmen of the San Francisco Chronicle wrote, “Jazz informs, astonishes, and entertains. It invites joy, tears, toe-tapping, pride, and shame and maybe an occasional goose bump.” Jazz premiered on PBS in January 2001. In 1981, Ken Burns produced and directed the Academy Award-nominated Brooklyn Bridge. 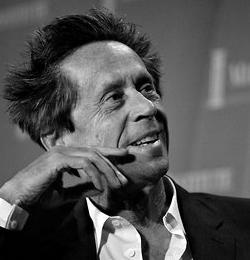 He has gone on to make several other award-winning films, including The Shakers: Hands to Work, Hearts to God; Statue of Liberty, also nominated for an Oscar; Huey Long, the story of the turbulent Southern dictator, which enjoyed a rare theatrical release; The Congress; Thomas Hart Benton, a portrait of the regionalist artist; and Empire of the Air: The Men Who Made Radio. Ken Burns has also produced and directed three films, William Segal, Vezelay, and In the Marketplace (a trilogy entitled Seeing, Searching, Being), which explore the question of search and individual identity through the work and teachings of philosopher and painter William Segal. 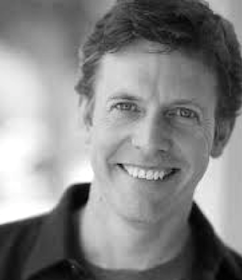 Ken was born in Brooklyn, New York, in 1953. 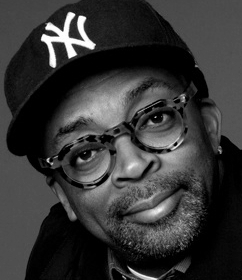 He graduated from Hampshire College in Amherst, Massachusetts, in 1975.